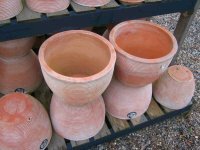 Plants 'n' Gardens grow both popular herbaceous plants and rarer varieties for customers who are looking for something different in their gardens. 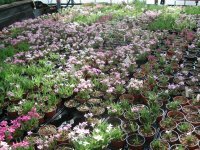 At the start of the season, a wide range of 1 litre-sized perennials are available, which can be planted in early spring to flower by summer. 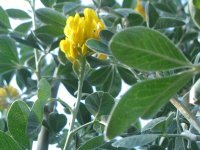 These plants offer exceptional value and special deals are possible when buying in quantity. 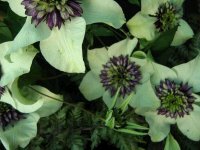 Later in the season, as perennials come into bloom, there are topical displays throughout the nursery and on view in the ornamental gardens. 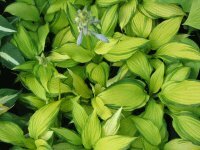 Specialist herbaceous collections include Hostas and Heucheras which have their own category on this website. 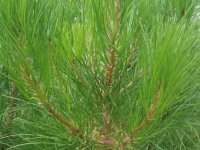 As varieties available change all the time, it is worth contacting the nursery to see if a particular plant is in stock. 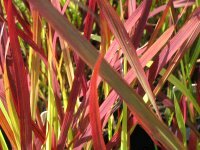 Ornamental grasses have become popular with gardeners and a good range is stocked – particularly for the autumn, when they come into flower for a stunning late-season display.